This serial entrepreneur talks about her passion in putting up businesses that dominate the market. Are entrepreneurs born or are they made? While many successful businessmen today are molded into the spirit of entrepreneurship through education and exposure, there are those who are simply born knowing that doing business would be their life. Teresa Dula-Laurel, serial entrepreneur and founder of the popular Goto King franchise, is among those in the latter. Ever since she could remember, business just came to her naturally. Coming from a family with little to no background in entrepreneurship, she started to carve her own path at a very young age. "I had so many businesses! When I was little, I was selling pin buttons to my classmates. In high school I sold blouses...there was a lot! So much, I want to write a book about it," Laurel happily recalls. Strangely, despite knowing that her passion is in entrepreneurship, she was never interested in taking up a business course in college. But back then, she habitually joined food fairs and bazaars, selling pizza and other food stuff to make a little income. "I really wanted to do business but I didn't even want to take a business course. My mentality [then] was: I was already making money! To me it seemed more like common sense and basic math," she shares. "But as your business grows, you'd need more than just hard work and perseverance. You need to use your head." Her first catering business was of a humble beginning---a few thousand pesos for ingredients, cooking supplies borrowed from good friends, and an old-school jeep for transportation. From her first catering gig at a friend's wedding, to the succeeding large events that required grueling hours of planning, she has really worked hard for everything she's achieved. "My first big catering was the wedding of Irene Marcos. We were catering to the military. That was morning, noon, and night! Can you imagine feeding that many people all day?!" she quips. Continuing her passion for food, Laurel's catering business eventually paved the way for a different spin off in 1984. The unique entrepreneur in her found a potential in goto, a pedestrian staple food sold in food carts across the streets of the metro. She thought of making the 'poor man's meal' a delight that can be enjoyed within an airconditioned joint rather than in the unhygienic sidewalks. 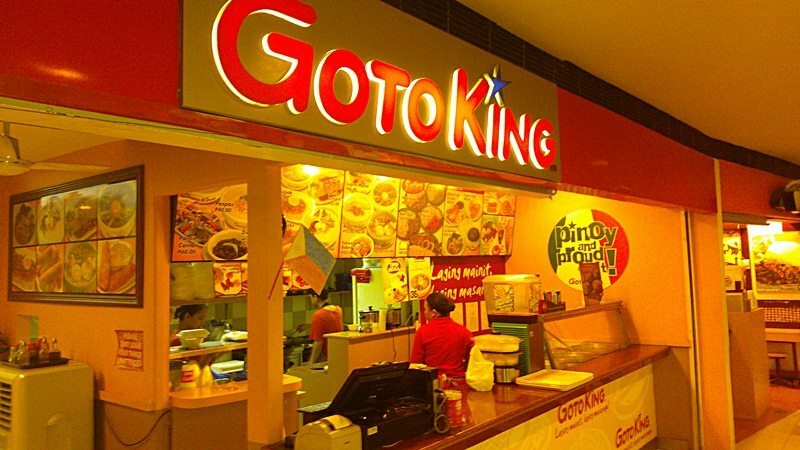 Goto King was a phenomenon in the fast food industry. From a kiosk within the food court of a mall, it quickly branched out to food court outlets of other malls and eventually to restaurants outside those shopping complexes. It now has 26 locations across Metro Manila and in the provinces like Cavite, Cagayan, and Cebu. After more than 30 years of lingering in Goto King's success, Laurel now plans to revive a former restaurant business called Mama Rosa. She hopes to re-open it within the year. "I started that when I was doing Goto King already. Back then, I remember that one time, I wanted to give a special present to food critics, so I made my own bagoong. We actually started with tuyo and olive oil. Sometimes the critics would call me to order those. They really liked the special products so I started selling those." On top of her successful career as a businesswoman, Laurel is also a loving wife and mother to four children---most of them already with businesses of their own. 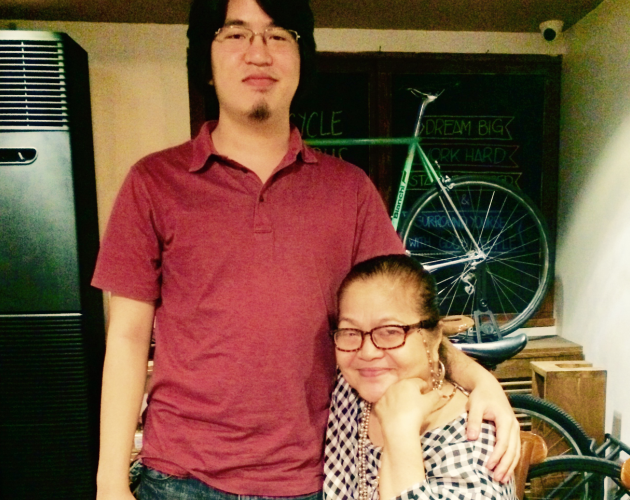 "My daughter is also a caterer, she has a restaurant of her own (Restaurant of Choice) in Balay Alumni near UP; my son Andrei has Bongganisa, and my eldest son is into the bar business (Last Home)." The spread of Laurel's entrepreneurial flame didn't stop there. Some of her nieces also found themselves starting up businesses of their own--one of them is Michelle Asence-Fontelera, the woman behind the Zen Zest brand of bath and body care products. Pulling from her years of experience in the food business, she believes that entrepreneurs are either made or born. She encourages young entrepreneurs out there who have the drive for entrepreneurship to work hard for what they want and find their own individual passion in life.